The Amex EveryDay® Credit Card from American Express (a Money Crashers partner) is a cash back credit card that utilizes a complicated but versatile point system to reward users. It has no annual fee and accelerated point earnings (2 points per $1 spent) at the supermarket, plus 1 point per $1 spent on everything else. EveryDay competes with a number of other cash back and rewards credit cards, including American Express’s own Blue Cash Everyday, Blue Cash Preferred, EveryDay Preferred, and Plenti, as well as non-Amex cards such as Capital One Quicksilver Credit Card, Discover it, Chase Freedom, Bank Americard Cash Rewards, Barclaycard CashForward™ World Mastercard® , and numerous travel rewards credit cards. When you spend at least $1,000 within 3 months of opening your account, you get 10,000 Membership Rewards points. That’s worth up to $100 at redemption. Every U.S. supermarket purchase made with your Amex EveryDay Card earns 2 Membership Rewards points per $1 spent, up to an annual purchase cap of $6,000. Above the cap, U.S. supermarket purchases earn an unlimited 1 point per $1 spent. All other purchases also earn an unlimited 1 point per $1 spent. Note that American Express excludes big-box superstores such as Walmart and warehouse clubs such as Costco from its supermarket definition. Separately, the Double Membership Rewards program doubles your point earnings on most prepaid travel purchases (but not car rentals) made through American Express’s travel portal, including hotels and airfare. Also, when you make at least 20 purchases in a billing period, you automatically earn a 20% bonus on all points earned during the period (retroactive to the first day). You can redeem your accumulated Membership Rewards points at American Express’s Membership Rewards portal, starting at a minimum of 1,000 points. Redemption options include general merchandise, gift cards, and statement credits. Point values range from $0.005 to $0.01 at redemption. Cash equivalents are generally worth less – for instance, statement credits work out to $0.006 per point, while Uber credits go for $0.01 per point. Your purchase and balance transfer APR is fixed at 0% for the first 15 months your account is open. Qualifying balance transfers must be made within 30 days of account opening. Following the introductory period’s end, the variable APR ranges between 14.49% and 25.49% APR, depending on your personal creditworthiness and prevailing interest rates. There is no annual fee to use this card. There’s also no fee for balance transfers. Foreign transactions cost 2.7% of the total transaction amount. Cash advances cost the greater of $5 or 3% of the total amount, while late and returned payments cost up to $38 each. The Amex EveryDay card comes with some useful shopping benefits, including reimbursement (up to $300 per item) for returns rejected by the merchant within 90 days of purchase; extended warranty coverage on all items with original warranties lasting less than five years; and purchase protection against accidental damage and theft for 90 days from purchase date. In addition to the Double Membership Rewards deal explained above, Amex EveryDay’s travel benefits include 24/7 roadside assistance for all cardholders; 24/7 global assistance for cardholders traveling more than 100 miles from home; and complimentary car rental insurance against loss and damage. No Annual Fee. This card doesn’t come with an annual fee, which is great for budget-conscious cardholders. American Express Blue Cash Preferred, EveryDay’s stablemate, has a $95 annual fee. Frequent Spender Bonus. When you make 20 purchases in any given month, you earn a 20% point bonus for that period. That’s great news for people who use EveryDay as their “everyday” credit card. Popular alternatives such as Chase Freedom and Discover it don’t offer a monthly points bonus. Generous Intro APR Period. The 15-month 0% purchase and balance transfer APR is among the longest in the cash back category. Capital One Quicksilver only offers a 0% promo APR for a limited time, while the Discover it family’s (including Discover it Chrome and Discover it for Students) promotion lasts for just 12 months. Double Rewards on Travel Purchases. Separately from EveryDay’s double-points U.S. supermarket spending category, you earn 2 points per $1 spent on prepaid travel booked through American Express’s travel portal – a nice perk for frequent travelers who don’t want dedicated travel rewards credit cards. Capital One Quicksilver and Discover it don’t have equivalent benefits. No Balance Transfer Fee. This is one of the few rewards credit cards with no balance transfer fee on any balances transferred. If you’re facing down high-interest credit card balances accrued on another credit card account, Amex EveryDay should be near the top of your list. Mediocre Welcome Offer. The EveryDay Card doesn’t have the best welcome offer around. It’s worth a maximum of $100, depending on how you redeem your points, and can be worth as little as $50. Plus, you need to spend $1,000 in 3 months to earn it. BankAmericard Cash Rewards MasterCard and Capital One Quicksilver both offer $100 bonuses for just $500 in spending, while Chase Freedom offers a $150 bonus for $500. Points Often Have Low Value at Redemption. The EveryDay Card’s Membership Rewards points are worth anywhere from $0.005 to $0.01 apiece at redemption. That’s lower than many other cash back credit cards, including American Express’s own Blue Cash Everyday ($0.01). Not Ideal for Statement Credit Redemptions. When redeemed for statement credits, Membership Rewards points are worth just $0.006 apiece. That’s lower than Capital One Quicksilver ($0.01) and Chase Freedom ($0.01). If you prefer to redeem your accumulated credit card rewards for statement credits, look to one of those alternatives. Points-Based Rewards System Is Somewhat Confusing. The EveryDay Card’s points-based reward system is a bit more confusing than the typical cash back rewards program because it’s not immediately apparent what different redemption methods are actually worth. Capital One Quicksilver and Discover it deliver cash back as cash or cash equivalents (such as gift cards), always at a rate of $0.01 per cash back point. Although Chase Freedom offers merchandise and travel in addition to cash equivalents, its cash back points are always worth $0.01 when redeemed for those items. Has Foreign Transaction Fees. This card’s foreign transaction fee (2.7%) is a bummer for people who travel frequently. Capital One Quicksilver and the Discover it family don’t have foreign transaction fees, and the USAA Cash Rewards American Express Card has a low (1%) foreign transaction fee. Has a Penalty APR. If you miss a payment on this card, the high penalty APR will catch up with you. Chase Freedom doesn’t charge penalty APR. 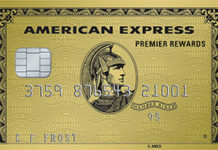 When you step back and look at its structure, the points-based Membership Rewards system on The Amex EveryDay® Credit Card from American Express isn’t that different from Chase’s Ultimate Rewards scheme, which underpins cash back cards such as Chase Freedom and travel rewards cards such as Chase Sapphire Preferred. Like Ultimate Rewards, Membership Rewards lets you redeem your accumulated points for a wide range of merchandise, travel, and cash equivalents, including gift cards and statement credits. But one simple difference makes Membership Rewards seem a lot more complicated: Point values vary according to redemption method, with some merchandise commanding $0.01 per point and other options stuck with just $0.005 per point. By contrast, Ultimate Rewards redemptions are almost always worth $0.01 per point, with the extremely well-publicized exception of travel bookings ($0.0125). In a loud, confusing world, never underestimate the power of simplicity. The Amex EveryDay® Credit Card from American Express is a great general-purpose, entry-level credit card for frugal to moderate spenders who crave a versatile rewards program that lets them redeem earned points for virtually anything. Thanks to a solid balance transfer promotion, it’s also a good option for people with existing high-interest credit card balances. However, if you’re looking for an extremely generous rewards program or one with favorable point values for statement credit redemptions, you need to look elsewhere. No annual fee or balance transfer fee, great intro purchase and balance transfer APR promotion, double point earnings on travel bookings, and somewhat relaxed credit standards are key benefits. Confusing points system, potentially low point values at redemption, mediocre welcome offer, and foreign transaction fees are problematic. Overall, a good first American Express card for people who like versatile rewards.